Underdog Theatre’s Kory LaQuess Pullam has written and directed a powerful Fringe show that is also easily just the beginning of a larger story. Sometimes when Fringe artistic teams slim down a longer play to fit it snugly into a one hour festival slot, things seem rushed or the complexity is lost. Not so here. 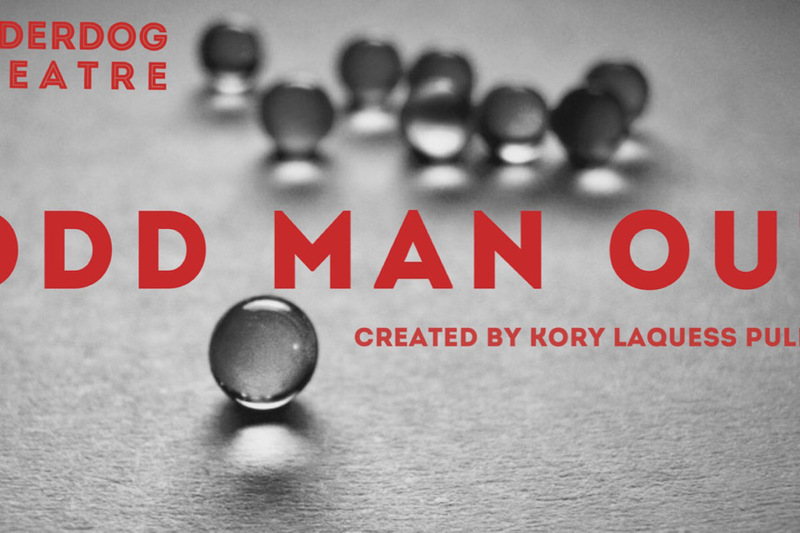 Odd Man Out is full of complex relationships between family members when they are all brought together by the funeral for the family patriarch. You get the feeling watching it that these people have lived before the play starts, and have a lot of story to unspool after the lights go down for the last time (and here, that’s not a bad thing). The expansiveness of the family story is nowhere more evident than in the multiple flashbacks centered on father Joseph (LaMont Ridgell) (whose own father has just died, hence the funeral), and Joseph’s son James (Malick Ceesay). Joseph is alternately trying to tough his son up for the fights he sees in their life ahead, and begging James to help him keep the family secrets. Theirs is just one of many fraught relationships passing through the living room of the family home. There’s family matriarch Cicely (CiCi Cooper) who’s dealing with the death of her husband and doesn’t have patience for anyone else’s family drama right now. There’s Joseph’s wife (and James’ mother) Sharisse (Charla Marie Bailey), who has put up with her husband’s infidelities long enough. There’s Uncle Charlie (Kennie Cotton), the charming black sheep of the family who may finally be wearing out his welcome. There’s Joseph and Sharisse’s other child (and James’ sister) Sidney (Am’Ber Montgomery) who’s an overachiever at school and a fighter for social justice in the streets, but who also likes the quick money hit that dealing drugs can bring her. James, now a track star in college, has also chosen this moment to introduce his (unexpectedly white) best friend and teammate Tim (Matthew Hegstrom) to the family. Actually, James and Tim are a little more than just good friends, but now may not be the best time to come out. Then again, when is? Pullam’s script varies the usual structure of the family living room drama just enough to keep the audience on their toes, and also in a way that gives each actor in the talented ensemble several moments to shine - both dramatically and comically. A major death in the family shifts the ground under everyone’s feet. Some come out looking stronger, others not so much. This feels like the first step in a larger story, but even in this Fringe format, it’s enormously satisfying to watch. 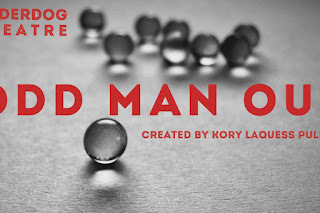 Odd Man Out sets the bar high for performance in other Fringe dramas, but that’s as is should be. And I’d expect no less from the artists in Underdog Theatre. This is one of three shows that Mom wishes she could give six stars and not just five. I agree, and when people ask me which shows I’ve liked the best, even though I’ve seen 33 others by this point in the Fringe, Odd Man Out (along with Out of the Shadows and Boombox) is still one of the first titles out of my mouth.